A lot has changed in aviation media over the past decade. Along with this change, how “we” access our news has also changed. This change is especially true for the younger generation. It is becoming less and less common for people to visit the homepage of a website. It is also becoming more and more common for people to visit web pages found through their social media home streams. I am growing increasingly concerned that we are granting too much power to the algorithms. These algorithms control what we see in our home streams. Over the past three years of operating Gazing Skyward TV, I’ve come to understand some of the unique challenges facing aviation. Digital media has become a particular interest of mine, especially when used as an instrument to introduce, inform, educate, and grow the aviation community. As a result of this interest, I pay attention to the trends in digital media. The happenings of this past year have proven to me there is a shift occurring. President Trump’s use of Twitter to bypass the media, the concerns over fake news, and accusations of censorship on the part of major social networks are just a few of the most notable shifts. After Super Bowl 51, Marketing Land published an article revealing that URLs had overtaken hashtags placed in Super Bowl ads. There is an inherent risk involved in building your “house” (online presence) on “rented land” (social media). This Marketing Land article demonstrates an increasing level of uneasiness amongst advertisers. Social media is still very important as it is a vital tool to reach people outside of aviation in order to inform and educate. Though, there needs to be a bit of a realignment. We’ve lost control of our personal data. It’s too easy for misinformation to spread on the web. Political advertising online needs transparency and understanding. While I am concerned about all three points, I am particularly concerned about number two. Five years ago, I got my news from my social media home stream. Using social media to stay informed was very effective. Now, most social networks are using algorithms to determine what posts they feel are most important for me to see and in what order. These algorithms are effective in displaying posts you’ll likely find interesting but are terrible if you want to stay up-to-date on the latest news from a variety of perspectives. I am very concerned that an over-dependence on social media is creating a filter bubble. Social media should no longer be the primary means of staying up-to-date on the latest news. An issue I see in aviation is the lack of resources directed towards digital media. There are many fine aviation magazines. The problem is many young people don’t subscribe to print magazines. They get their news and information via internet-connected devices. What currently available online is fragmented. Individuals in the aviation community have stepped up to the plate to fulfill some of this need. The youth of today represent the future of aviation. How can we interest them in a career in aviation if there is a lack of resources directed toward digital media? What is needed is a place that knits together this fragmentation. Over the past few years, I have been thinking about a possible solution. Four months ago, I started work on The Flying Cloud which I believe will help to knit together this fragmentation. The Flying Cloud website will become a place for people to come and get their aviation news that is sourced from around the web. It will also be a place for them to come to learn and to be inspired. 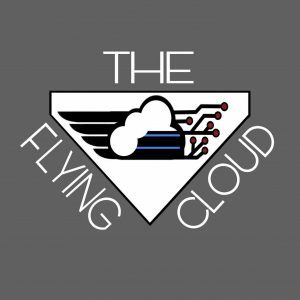 The Flying Cloud’s mission is to focus on collecting and distributing articles and videos sourced from the aviation community through a variety of means. 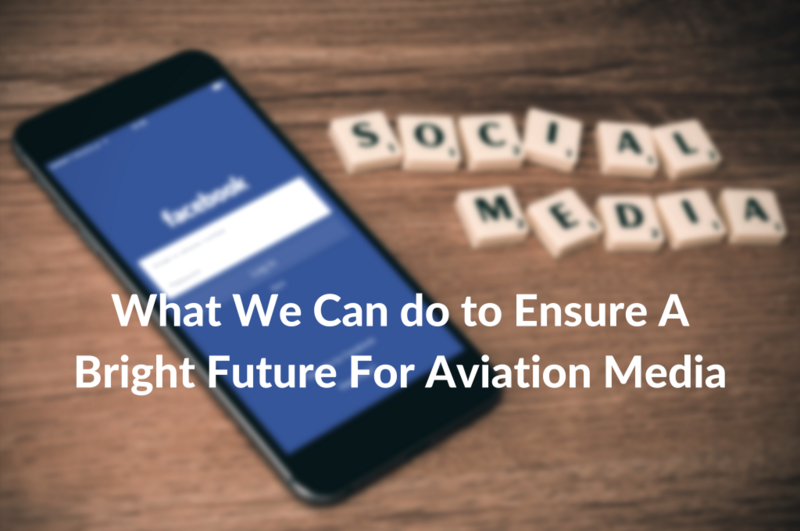 One method would be directly from individuals and organizations that make up the aviation industry through the use of Twitter and other social networks. Museums like Wings of Dreams and educational nonprofits stand to benefit from this. Individuals like Erik Johnston and his series titled “Veteran’s Tales” would benefit as well. From the beginning, my goal for The Flying Cloud website was to make it possible for me to manage everything via a mobile device and to provide a mobile (smartphone) first experience for readers. After several hundred hours of work, I’m close to achieving my mobile-first goal by launching The Flying Cloud website publicly. My future goals are dependent upon you, my supporters. In return for supporting The Flying Cloud project, I have set up a web store where you can order prints of aviation photos I have taken over the past couple of years. 100% of the proceeds will go right back into The Flying Cloud. With a monthly Patreon donation, you will receive perks such as a Patreon exclusive .pdf book of my aviation photos and discounts on prints. I will grant Patreon-only access to the website a few weeks in advance of public launch. During that time, I will also be asking for feedback in order to further improve The Flying Cloud. I want to address one concern that will be of particular interest to online publishers. The Flying Cloud will not be scraping articles and republishing them. This, in my book, would be tantamount to theft! The Flying Cloud will act as a portal to articles and videos located across the web. Please consider supporting The Flying Cloud’s mission on Patreon. It will cost you less than a cup of coffee per month. Prints of photos I’ve taken over the past few years will be available through the Pixieset web store as well. Discounts will be available to Patreon supporters for the purchase of prints. Founder of Gazing Skyward TV, Aviation Photographer, Social Media Strategist, Web Developer, Aviation Historian.